Bed bugs are becoming a growing problem throughout the UK. Despite their name, bed bugs are can survive in any piece of furniture or furnishing. They are just as at home in the sofa or in the carpet as they are in your bed. They can make their homes in cracks, crevices and even behind the skirting boards of your home. 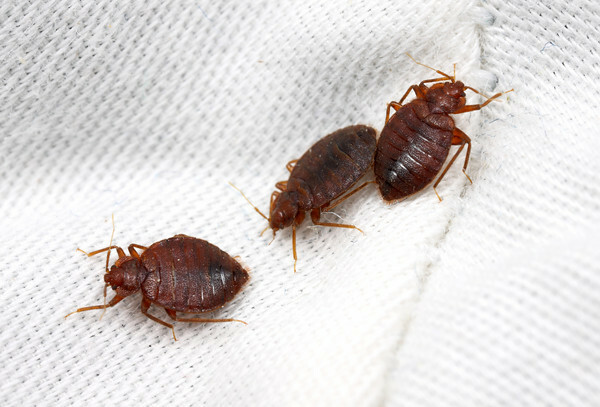 Pest control measures must be deployed at the first sign of a bed bug infestation to prevent their numbers from growing at an alarming rate. A combination of Bed Bug Killer Sprays, Bed Bug Fumigation and Bed Bug Killer Power is essential for complete control of a bed bug infestation. The strength of an infestation dictates the size of products required. There are several different types of Bed Bug Killer Sprays. The Pest Expert Formula 'C' Bed Bug Spray is one of the few products that can be used on mattresses and comes with an approved mattress label. The spray kills adult bed bugs, preventing them from being able to reproduce, thus breaking the life cycle of bed bugs and helping to put an end to infestations. Bed bug killer powders are ideal for long-term control of bed bugs. The powders can also be dusted into cracks and crevices and around bed frames for extra protection against bed bugs. Bed Bugs will hide in hard to reach places. Smoke bombs and Foggers contain a strong, broad-spectrum insecticide, that will kill all insects in its path, which makes them ideally suited to treat bed bug infestations. Once the smoke bomb or Fogger has been set off it will penetrate all ‘nooks and crannies’ and kill bed bugs in sight and those out of sight. Most Bed Bug Kits provide a 4-staged attack against Bed Bugs, containing a mattress spray, a long-lasting residual spray, a smoke bomb or Fogger and a powder that can be dusted into carpets, bedding and mattresses to ensure no bed bugs escape. Bed bug traps allow for an effective and discreet monitoring of the presence of bed bugs. Traps are designed to be a tool for assessing the severity of bed bug infestation and can be used to monitor even low levels of bed bug infestations, either before or after treatment commences. Bed bug traps should not be used as a sole form of control. Professional bed bug products contain some of the strongest bed bug killer products available in the UK. 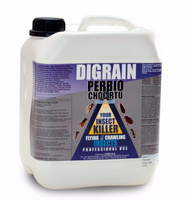 Bed bug killer sprays such as Perbio Choc Professional Bed Bug Killer Spray, contains a high concentration of both Permethrin & Tetramethrin for quick knock down of bed bugs and long term protect against a bed bug infestation. This Bed Bug Killer Kit enables you to carry out a comprehensive bed bug treatment to one bedroom using a range of the best bed bug killer products from market leaders Pest Expert and Rentokil including: Formula 'C+' Bed Bug Spray, Formula 'P' Bed Bug Powder, a Formula 'P' Fogger and Rentokil Insectrol. The combination of insecticides delivers a rapid knockdown of bed bugs and helps maintain long-lasting bed bug control. Supplied with full instructions for use. This Bed Bug Killer Kit enables you to carry out a comprehensive bed bug treatment to two bedroom using a range of the best bed bug killer products from market leaders Pest Expert and Rentokil including: Formula 'C+' Bed Bug Spray, Formula 'P' Bed Bug Powder, a Formula 'P' Fogger and Rentokil Insectrol. The combination of insecticides delivers a rapid knockdown of bed bugs and helps maintain long-lasting bed bug control. Supplied with full instructions for use. This Bed Bug Killer Kit enables you to carry out a comprehensive bed bug treatment to several bedrooms using a range of the best bed bug killer products from market leaders Pest Expert and Rentokil including: Formula 'C+' Bed Bug Spray, Formula 'P' Bed Bug Powder, a Formula 'P' Fogger and Rentokil Insectrol. The combination of insecticides delivers a rapid knockdown of bed bugs and helps maintain long-lasting bed bug control. Supplied with full instructions for use. FREE DELIVERY. Pest Expert Formula 'C+' Bed Bug Spray kills bed bugs fast and leaves a residue that offers long-lasting bed bug control. This ready-to-use insecticide is safe for direct application to divans, bed frames, carpets and even mattresses. A one litre trigger spray covers 20 sq m.
Pest Expert Formula 'C+' Bed Bug Spray kills bed bugs fast and leaves a residue that offers long-lasting bed bug control. This ready-to-use insecticide is safe for direct application to divans, bed frames, carpets and even mattresses. A 5L container covers 100 sq m.
Pest Expert Formula ‘P’ Bed Bug Powder is a powerful permethrin dust which kills bed bug eggs and nymphs as well as adult bed bugs. Supplied in an easy-to-use puffer pack to enable precise application to divans, bed frames, carpets and other cracks and crevices which may be harbouring bed bugs. Pest Expert Formula 'P' Super Fumers are bed bug smoke bombs for fumigating bed bug infestations. The permethrin smoke penetrates into cracks and crevices to kill bed bugs harbouring there. 2 Super Fumers are required to treat a standard bedroom. The Pest Expert Formula 'P' Fogger is a total-release aerosol device for fumigating bed bug infestations. The Fogger releases an insecticidal gas which penetrates into cracks and crevices to kill bed bugs harbouring there. Use 1-2 Foggers for treating an average size bedroom. 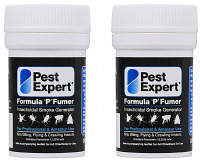 Pest Expert Formula 'P' Fumers are bed bug smoke bombs for fumigating bed bug infestations. They release a smoke which can penetrate into cracks and crevices to kill bed bugs harbouring there. Two Twinpacks are required to treat a standard bedroom. Discreet & effective method for trapping and monitoring a bed bug infestation. Capable of trapping all nymphs and adults. Kills Bed Bugs and other crawling and flying insects by physical means, without the use of chemicals. 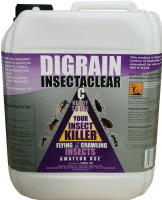 Professional Use Only - The strongest ready to use insecticide available in the UK. Kills bed bugs & all insect pests. 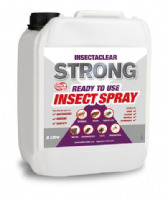 Professional Use Only - The strongest ready to use insecticide available in the UK. Kills bed bugs & all insects. This hand-held Pressure Sprayer is ideal for conducting a professional style application of insecticide for the treatment of flying and crawling insects. 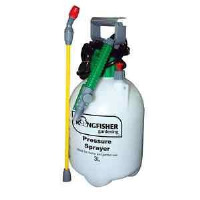 The Pressure Sprayer is designed to allow thorough and even distribution of insecticide. Rentokil Insectrol Bed Bug Spray can be used as a direct knockdown spray against bed bugs and other flying or crawling insects. When applied directly onto insects the potent active within the Insectrol Spray achieves rapid knockdown whilst also leaving a protective barrier which helps maintain long lasting bed bug control. Perfect for targeting hard-to-reach cracks and crevices where bed bugs may be harbouring. A ready-to-use bed bug killer spray containing cypermethrin. Can be sprayed directly at bed bugs or applied to bed frames and most other surfaces. Protector C is an insecticidal surface and space spray, which kills bed bugs & other flying and crawling insects. Protector C is an insecticidal surface and space spray, which kills bed bugs & other crawling and flying insects. A simple fogger device, once set off will kill bed bugs in the room, including in hard to reach cracks & crevices. Highly effective ready-to-use insecticide that can be sprayed within domestic buildings onto mattresses, carpets and even bedding. Suitable for homes, hotels, B&Bs, hospitals and care homes.